The Tillamook County Library is proud to introduce Brooke Hua as their new lead worker for the North Tillamook Library. Locals may recognize Brooke as she was formerly employed by the Rinehart Clinic, so she is no stranger to the area. If you haven’t done so already, please stop in and introduce yourself to Brooke. The chair of our Landscaping Committee, Becky Berg, reminds us that the next Library garden cleanup session will take place on Sunday August 12 from 1:00 to 3:00. Bring a rake or other cleanup tool along with gloves and join us to keep the garden and grounds of our Library in great shape. The newly remodeled outdoor seating area is now open for public use just in time for the summer season. This project adds new design elements to the front of the library while maintaining the character of the original building. 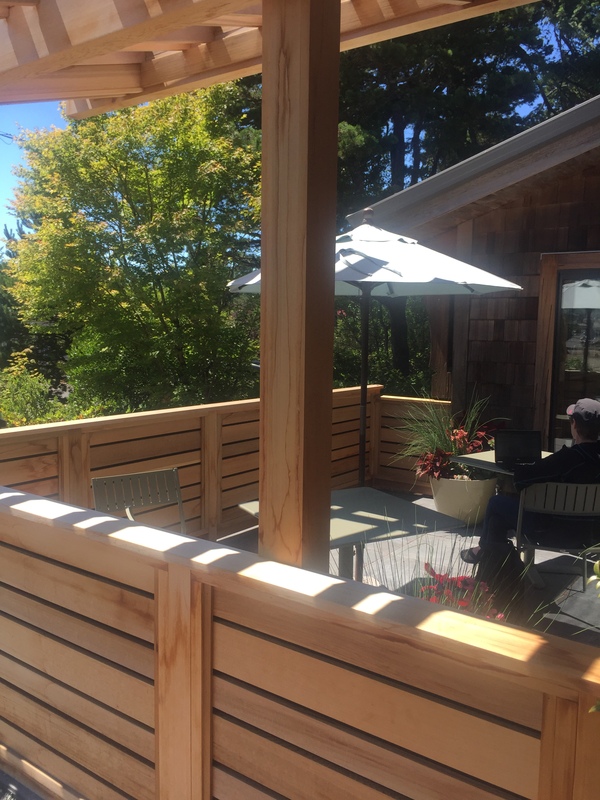 Take the opportunity for a new outdoor experience during your next library visit and note the level of craftsmanship that exists in this functional space. The entire undertaking was funded through a very generous donation from an anonymous patron. The “friends” are very fortunate to have so many thoughtful and giving members in our village. The Board met on June 16 and received reports from the major committees and took action on several items. One significant action was the approval of a revised 2018 Budget. The budget was revised based on actuals through May, review of revenue streams, and the final costs and firm bids for the renovation of the patio. Assistant Treasurer Tony Johnson presented the revised budget. The Friends organization remains in a strong financial position; thank you members and donors. Membership and Development– Jo Newhouse, Chair reported that donations and memberships are on track to achieve our 2018 goals. She also reported on the successful sale of book bags adorned with the Library Friends logo during the 2018 Book Sale. Magazine sales are down compared to last year. And action needed to support the Nancy Pear/April Baer fund raiser with the Hoffman Center’s Writer’s Program on October 20, 2018 was taken. 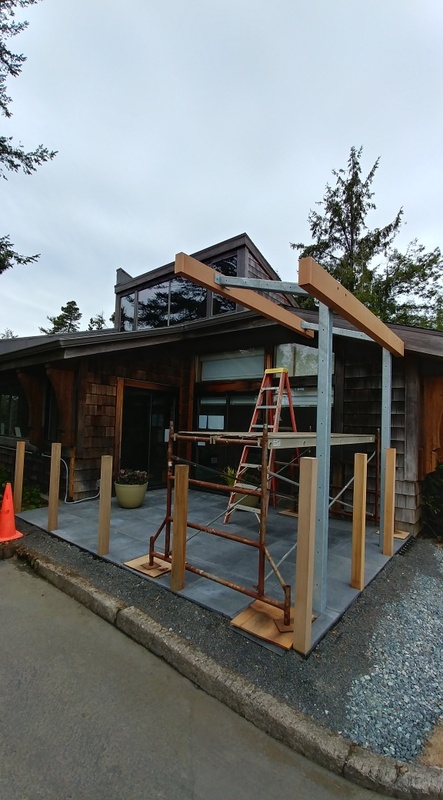 Maintenance Committee– Lee Hiltenbrand and Becky Berg, Co-chairs reported that all maintenance projects are on schedule with the exception of the completion of the patio renovation that we had hoped would be finalized by June, but has been delayed. Communications Committee– Marc Johnson Chair, introduced Lynne Gross who has agreed to take on the role of Committee Chair. Lynne has done great work creating the easily accessed newsletter and refreshing and improving navigation of the Friends website. We are delighted to welcome Lynne to this role. Nominating and Governance Committee– Marc Johnson Chair gave a brief report on recruitment for the 2019 Board. Board members are reaching out to Friends to seek those who may be interested in serving on the Board. Please contact Marc Johnson, Madeline Olson or another Board member if you are interested in talking about opportunities to be more involved in preserving and improving our Library for the future. The Nominating and Governance Committee also completed the biennial Board Self-Assessment. No surprises or major problems were identified. The Board remains committed to engaging more Friends in the work of committees and to successful outreach to Nehalem, Wheeler and the rural areas of north County. The Board will remain committed to our support for Libraries in Tillamook County. Given that the patio renovation remains incomplete, the Board agreed with Sara Charlton, Director Tillamook County Library System, to postpone the July parking lot party until later in the year. Sara Charlton and Bill Landau, TCLS gave a brief report on happenings in the county. Draft Board Minutes for the June Meeting will be posted following Board review for the information of patrons and Friends. 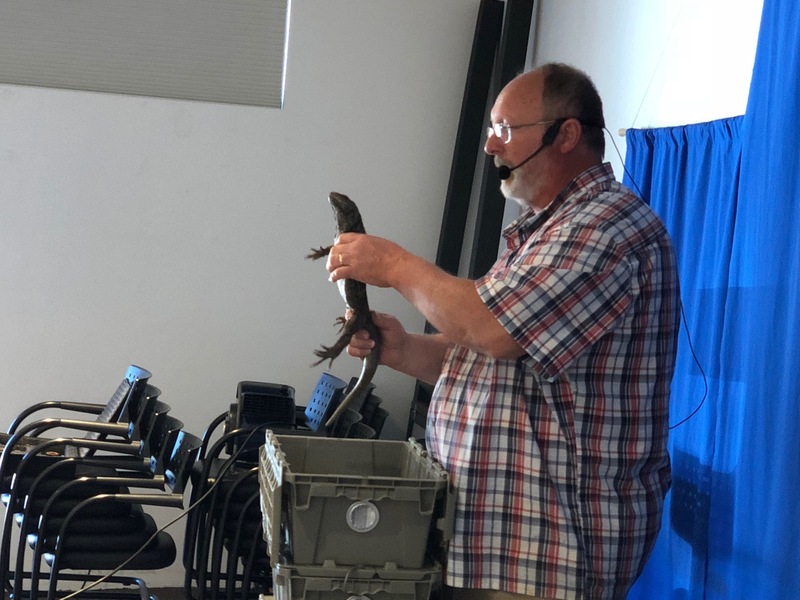 Two recent Tillamook Library sponsored programs – Reptile Man and The Bug Chicks – drew big crowds of enthusiastic youngsters (and adults) to the Hoffman Center for the Arts in Manzanita. Each event featured trained presenters able to talk authoritatively about the critters. 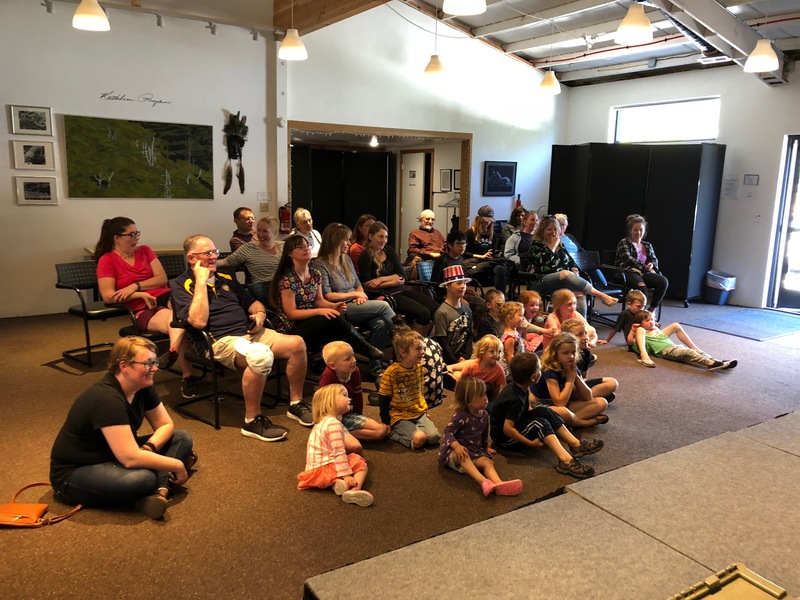 The programs are highly educational in nature providing great information for children about the natural world, but of course also a lot of fun. The programs are part of the on-going collaboration between the Library and the Hoffman Center, which has helped deepen the relationship between the two organizations. We look forward to many more programs including a June 29thmusical event 3:00 pm at with Okaidja Afroso who was born into a family of singers and songwriters in a small fishing village on the west coast of Ghana and now offers a program of global music and dance. On July 6 at 3:00 pm another great program for kids – Mad Science – a spellbinding special event introduces children to the principles of air and pressure. Hot air balloons, vortex generators and even a hovercraft will help children understand the power of air. Both programs are free and will take place at the Hoffman Center for the Arts, 594 Laneda Avenue, Manzanita. Garden Work Party – July 8. Our landscape committee chair Becky Berg is issuing a call for gardening help from 1:00 to 3:00 pm on July 8th. Bring a tool for weeding and trimming, a hat & gloves and we’ll provide the refreshments. The Friends the library building and the property and shoulder the responsible for keeping both in top shape. The garden is looking great, but of course requires a good deal of upkeep and attention. Please help if you can. We will have more information soon about tickets and a special event related to the October 20thappearance at NCRD by acclaimed Seattle library and author Nancy Pearl, but in the meantime check out some of Nancy’s top summer read. 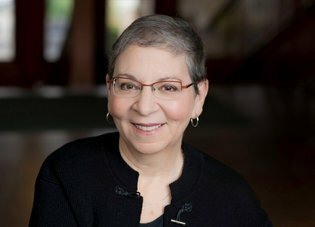 This link will take you to a recent NPR interview with Nancy Pearl – America’s Library. Good listening and good reading. 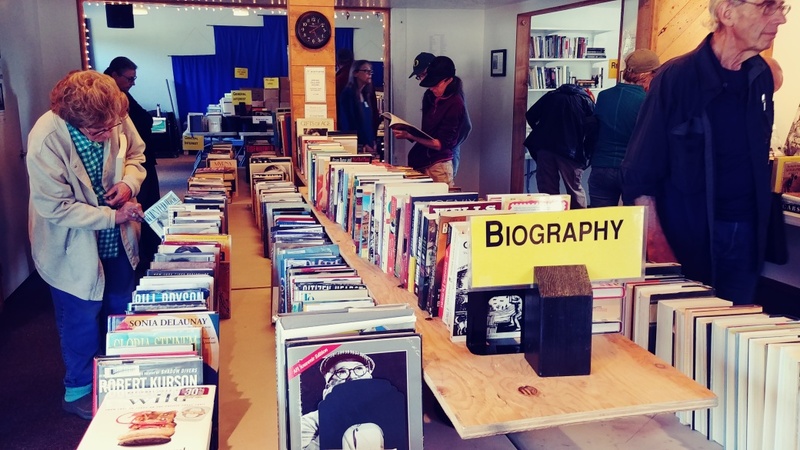 By all accounts the 2018 North Tillamook Library Friends Book Sale was a success. After expenses we earned over $7,200. In the days leading up to the sales and on Friday evening, 42 memberships were sold. The membership team headed by Jo Newhouse and Steve Brier also sold North Tillamook Library book bags contributing to the bottom line and the handsome book bags sold out. 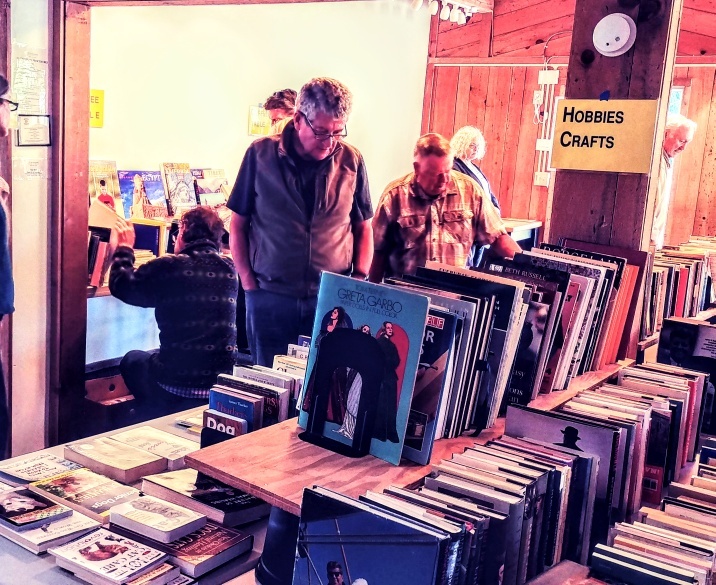 More than 120 people were involved in sorting and moving books and supplies to sale sites, setting up and arranging books, placing signs in the area, tallying books, taking money, keeping books tidy and organized for buyers, taking down and cleaning up the sales sites. We received compliments from buyers about the quality of the books and organization of our sales sites. This is not only the premier fund-raiser for the Friends, it is widely seen as a community-building event. We had many new volunteers this year who were excited to be part of the event and want to come and work again next year. This sale makes books available at bargain prices and keeps books moving through the community and beyond. The 2018 book sale would not have happened without the leadership of Ann Morgan, head of the Sale again this year. Victoria Holt was site co-coordinator for fiction at the Pine Grove and brought great energy and creativity to marketing classics and staff picks. Judy Lindley co-coordinated the nonfiction site at Hoffman Center for the Arts and used her experience with book sales for the Multnomah County Library Friends to rearrange the sale space that created better customer flow and access to books. As always, there would be no book sale without the team that sorts and prices books year around and rely on the team of book movers to bring the donations from the Library to the sorting room. Tela Skinner has headed up the “book sorters” for several years and was helped by Judy Lindley and Susan Rinehardt, both of whom stepped up as Tela needed to step away for health reasons. We also had several people step in to move books throughout the year, Mark Beach, Susan Rinehardt, Steve Miller, Barb Ripey and Barry Marshall. THANK YOU TO THE GREAT TEAM AND TO ALL OF OUR VOLUNTEERS. On the fourth Friday of nearly every month an erudite conversation can be overheard outside the Fireside Room of NCRD in the early afternoon. It’s the monthly meeting of the book club. And Gail Young, a retired high school English teacher and former Friends board member, is leading the discussion. After participants give their views of the book, Gail adds her insightful (and incite-full) input. Her summaries are the result of her years of teaching. “I never encountered a book I didn’t like,” she says. She thinks about the writer. “What are the choices that writer made to captivate and challenge the reader?” She examines character, point of view, setting and plot. How is the story told: in chronological order, through flashbacks, in the first person? There are lots of choices. Sometimes most of these questions have been answered by the time Gail speaks. But she almost always adds some gem. And she does so by asking herself what has the writer done to enchant the reader. She says she and June Baumler were “bequeathed” the book club. June handles the book selection. And book kits. Members suggest books and then vote on selections. Everyone is welcome on the fourth Friday of the month at 1:30 p.m. 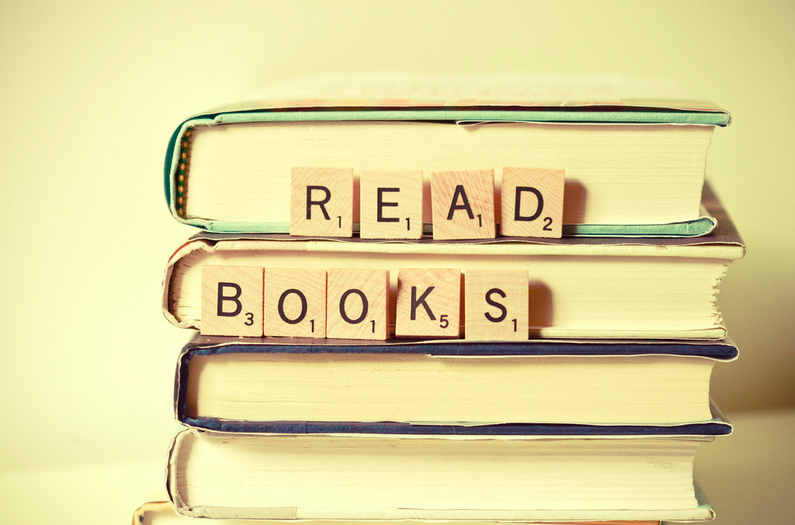 Wondering what to read this summer? We have two lists of some great titles. The first is a long list of 100 great books by women authors. The list was compiled by the Hay Festival, a celebrated annual literary festival in Wales, and the website The Pool. The list was published recently in the Irish Times. And here is another list of good reads for the summer compiled by Publishers Weekly. The Big North Duo featuring Christian McKee (vocals, mandolin, mandola) and Paul Prato (bass) will perform a free concert at 1:00 pm April 7 at the Hoffman Center for the Arts on Laneda Avenue in Manzanita. The concert is one more in a series of collaborations between the North Tillamook Library and the Hoffman Center. The musicians began playing together in 2004, and have played together ever since. Now when The Big North Duo plays the audience smiles, toes tap, and everyone gets a break from the workaday world. The music comes from the deep catalogs of classic swing, blues and country, and also features original material drawing from those traditions. 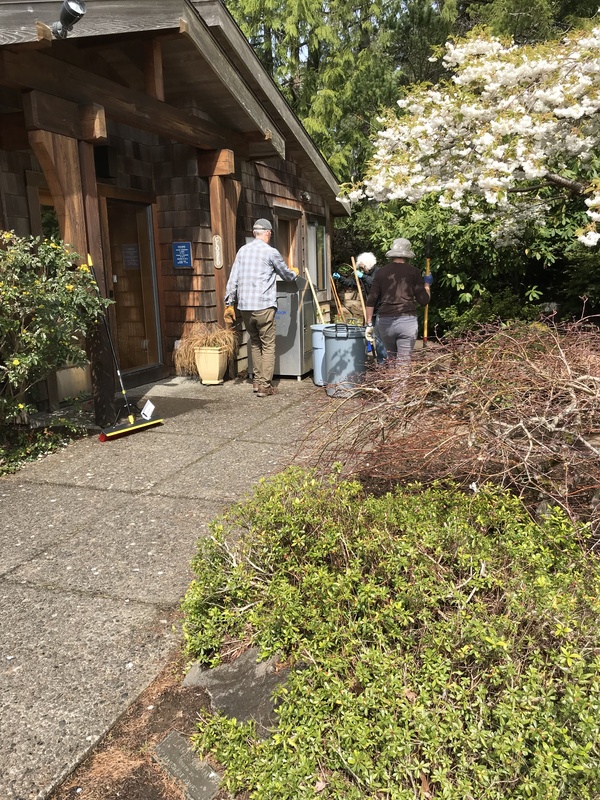 It is spring clean up time at the Library garden. Come and join board member Becky Berg and other volunteers from 1:00 pm to 3:00 pm. Bring your favorite rake or garden tools, your gloves and a friend. It is fun and important work to keep our library grounds in excellent shape as we head toward summer. Great buys on recent magazines, everything from outdoor publications to current events, fashion and food. All proceeds benefit the Friends. 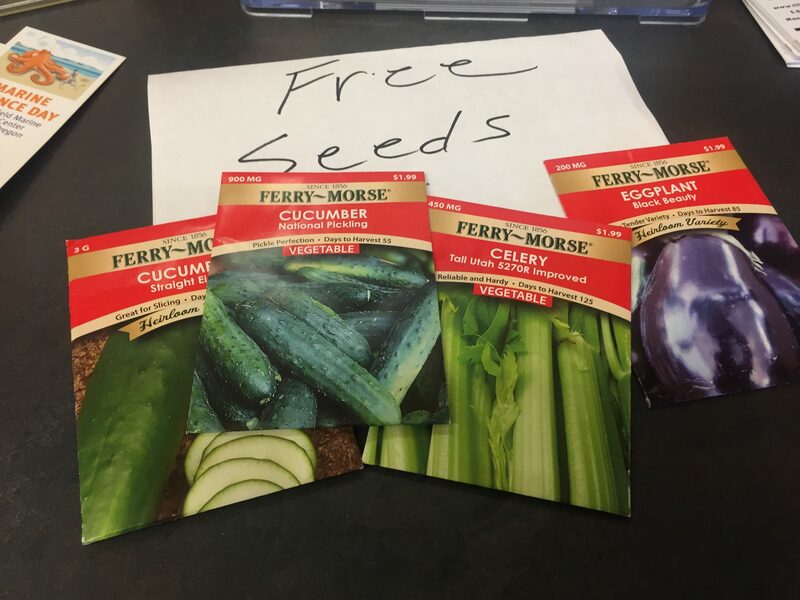 You may have noticed a new display at the library – seed packets. Be sure and check out what is available on your next visit. The program is part of a growing – sorry – national movement to encourage both sustainable food production and to educate about local plants. As noted recently in a story at the Atlas Obscura website, “Just a handful of public library seed programs existed around the U.S. in 2010, when Rebecca Newburn, a middle school science teacher in California, helped introduce the concept to her local library. Then, in 2011, Newburn and her collaborators posted the framework for their seed program online for others to replicate. She also joined with other seed enthusiasts to create a website called the Seed Library Social Network to connect similar programs and share tips with other seed savers. Read the background of an interesting new national effort here and visit the library for more information. Despite rumors to the contrary, the charitable deduction was the only widely-used tax deduction that was not limited under the tax legislation enacted by Congress in December 2017 according to Steve Brier, a board member of North Tillamook Library Friends and an expert in charitable giving. 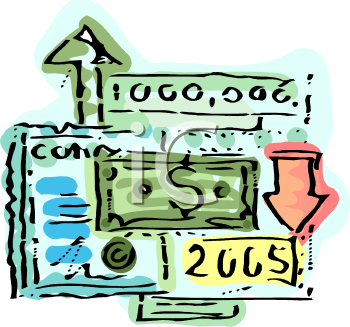 As Steve notes: In some respects, the tax benefits of charitable giving were expanded. For example, the annual limitation on deductibility of cash gifts was increased from 50% of adjusted gross income to 60% of adjusted gross income. Also, the new law repealed a provision that in the past caused high-income taxpayers to lose up to 80% of the value of their deductions. The new law increased the standard deduction to $12,000 per person — $24,000 for a married couple filing jointly. Therefore, more people now will claim the standard deduction instead of itemized deductions. 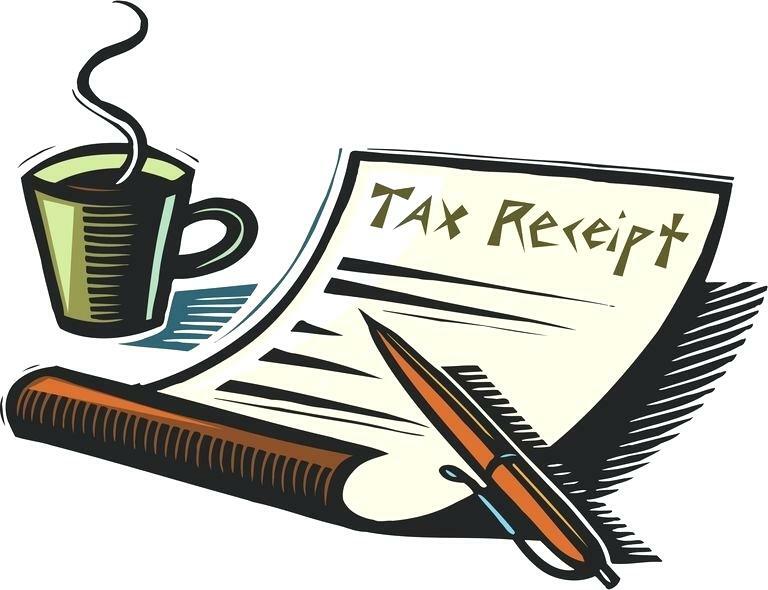 Taxpayers claiming the standard deduction will not benefit from charitable deductions or any other itemized deductions. One way to ameliorate this problem would be to “bunch” your charitable gifts in a particular year. Another strategy that works exceptionally well for people older than 70-1/2 is to make gifts to charity from your individual retirement account (IRA). For people older than 70-1/2, a direct transfer of funds from your IRA to a charity eliminates taxable income and counts toward your required minimum distribution. This “IRA rollover” strategy generally is better than a tax deduction and it benefits people who claim the standard deduction as well as people who claim itemized deductions. The new tax law left intact the estate tax exemption for gifts to charities through estates. Gifts to charity through a will or living trust or through a beneficiary designation of an IRA or retirement plan continue to be fully exempt from federal estate tax. The new law doubled the exemption amount for estate gifts to heirs. Single individuals now can leave approximately $11.2 million to heirs, and married couples can leave approximately $22.4 million to heirs free of federal estate tax. This will make it easier for wealthy people to fund charitable gifts through their estate because they can leave more money to heirs than they would have been able to do under prior law. The information above is general in nature and is not tax advice or legal advice. Please contact your attorney or financial advisor for advice specific to your circumstances. If you would like more information, please contact Steve Brier, Co-Chair of the Library Friends Membership and Development Committee, at 503.349.5500 or ssbrier@gmail.com. All inquiries are strictly confidential. 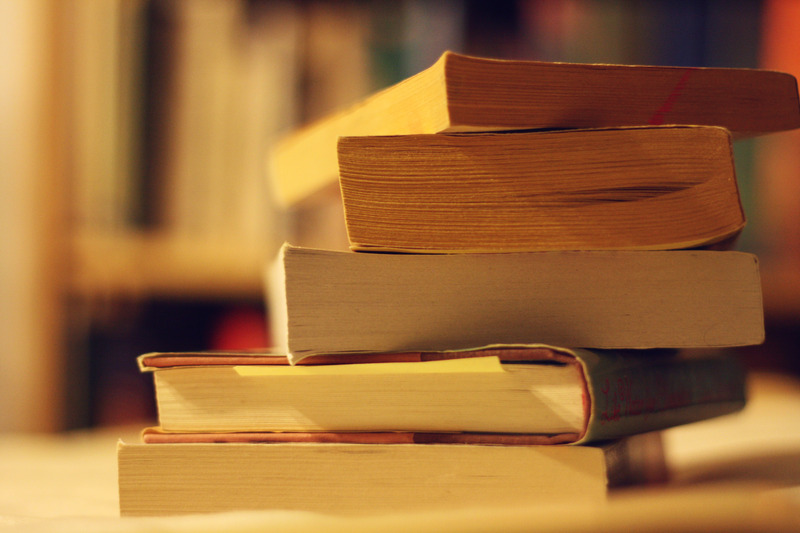 The literary website Lit Hub has some current reading suggestions, everything from the latest good fiction to true crime. Here is a link to check out 20 new titles. 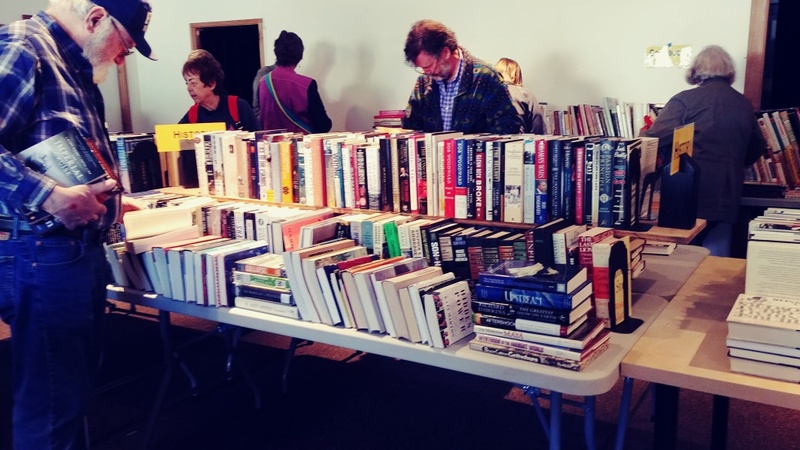 Speaking of books: It is not too early to make plans for the Friends’ annual book sale Memorial Day weekend. The annual sale, the largest fundraiser for the Friends, begins on Friday evening May 25 with a “friends only” pre-sale at both the Hoffman Center and the Pine Grove Community House. The public sale takes place during the day on May 26. There is still plenty of time to donate your gently used books and to volunteer to help during the sale. You can leave donations at the library. Those of you who use our website may have noticed that the Communications Committee has done some work to refresh the site. We’ve also noticed that since we are hosted on a free site, we’ve begun to see ads on the web site. We are going to explore our options for web hosting, as we don’t want to be associated with any particular advertisement. You can let us know what you think by emailing us at NTLF1987@gmail.com. By the way: The next North Tillamook Library Friends board meeting is schedule for March 17 at 8:00 am at the library. 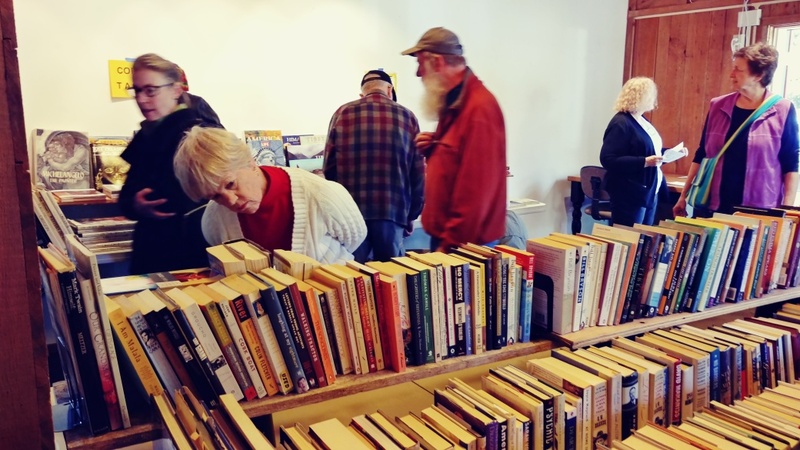 Perhaps you have been a North Tillamook Library volunteer in the past or maybe you think of yourself as a person who enjoys being out-of-doors. Please think about combining both interests and help keep our library grounds beautiful. Three or four times a year volunteers assemble to keep the library grounds ship shape with plantings, pruning and general clean up. Board member Becky Berg has issued a call for volunteers to the year’s first “garden party” on Sunday, April 8 from 1:00 to 3:00 pm. It is a fun, valuable way to help the library and spend some outdoor time with others who value the library as a great community asset. 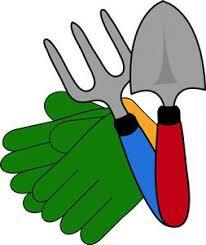 Come and join us, and bring someone new to the community if you like, as well as your favorite gardening tool and gloves. The outdoor patio project is moving along despite occasional stormy weather. The concrete footings have cured allowing the steel columns to be erected. Much of the work has been occurring off-site including fabricating all the cedar elements necessary for this project. We are excited to have this area fully functional for the summer season. Make sure to view the progress next time you visit our library. As you know, the Library Friends depends upon on the generosity of many, many people to maintain our building and grounds and also develop financial resources that allow us to plan for the future. We recently received a wonderful “in-kind” contribution from Limb Walkers (Joe Burch) to cover the cost for tree trimming/tree work on the library grounds. Thank you so very much for this generous donation. It seems like more programs than ever are available at the library. Children’s Story Time continues all year long at the library on Saturday at 11:00 am and Thursday at 4:00 pm. 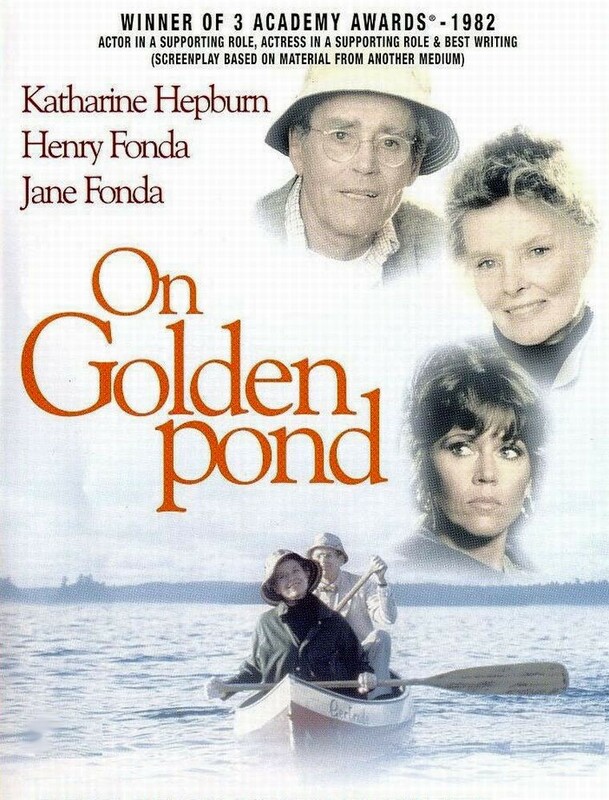 And the next classic movie screening is scheduled for March 22 at 6:00 pm. 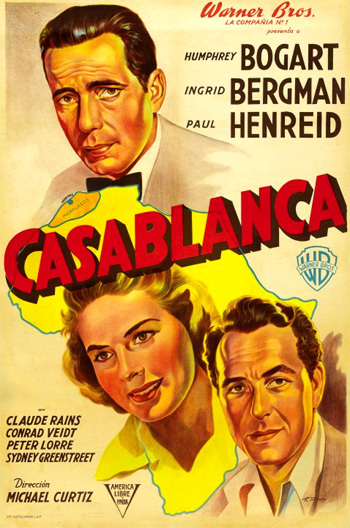 Casablanca, the classic Warner Brothers film from 1942 starring Humphrey Bogart and Ingrid Bergman, will be the feature. Check our website under “Events” for regular updates. Our next Friends’ magazine sale will take place on March 24 from 10:30 am to 1:00 pm. We offer a wide selection of recent titles from current events to cooking, travel and more. All proceeds support the Library Friends. Steven Kurutz is a features reporter for the New York Times and he recently authored a wonderful tribute to his small-town Pennsylvania library, a magical place full of discovery where Kurutz found the world was just a page turn away. The North Tillamook Library Friends are grateful for all of the donations of gently used books that make our Annual Book Sale a success. We need to request that when you have donations and the Library is closed, do not drop them into the Library’s Book Return Drop Box. It makes extra work for the Librarians to sort through all of the books and pull out those that are donated for the sale. If the Library is closed and you are in a time bind for donating your books, please call Madeline Olson at 503-887-1112. If possible, she will provide you with an alternative means of donating to our book sale. Thank you. 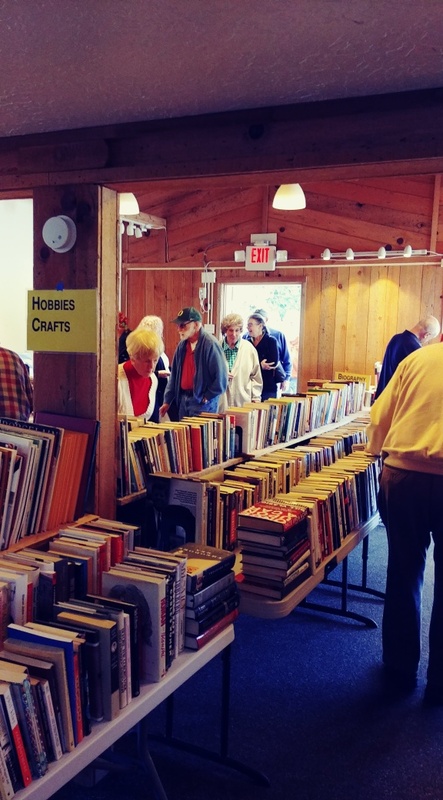 Also … mark you calendar for the Friends’ annual book sale over Memorial Day weekend. The Friends’ member pre-sale will take place on May 25 and the sale to the public on May 26. It’s our major fundraiser of the season and provides a wonderful opportunity to restock your library with fiction and non-fiction titles, cookbooks and children’s books. In 2017 there were 42,149 visits to our library. That is an average of 138 per day. Each visit resulted in at least one book or digital media checked out. We know that some probably came in to use the free Wi-Fi or computers. We are happy to have you all. There were 23,301 print media checked out and 18,119 digital media checked out. DVDs are very popular as there were 15,388 checked out during the year. If you have DVDs that you no longer want to keep on your shelf, consider donating them to the library so others can enjoy them. Newer DVDs may be used by the general library for circulation and older ones are a hit at the Friends of the Library annual book sale. Board meeting: The next Friends Board meeting is scheduled for Saturday March 17 at the Library. The meeting will begin bright and early at 8:00 am. 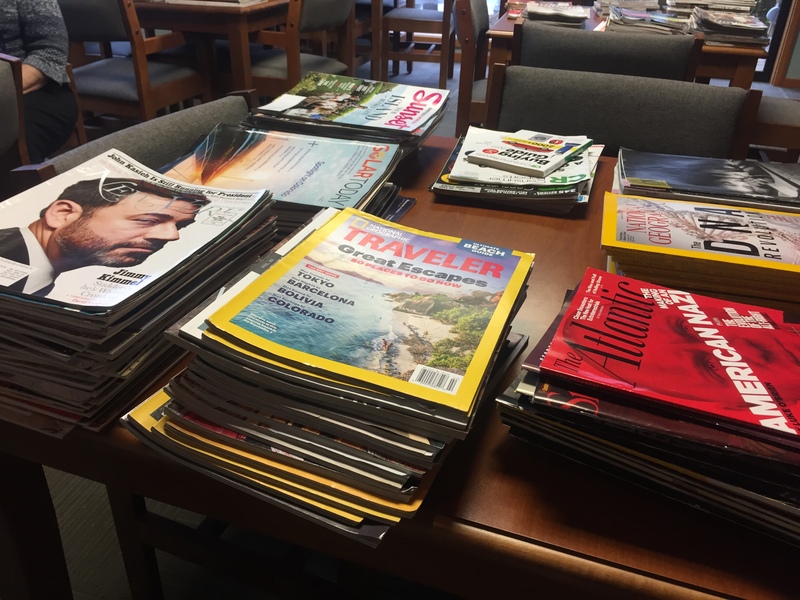 Magazine Sale: Our next monthly magazine sale is scheduled for March 24 from 10:30 am to 1:00 pm at the Library. Our monthly magazine sales offer great value and wide variety. We happily accept donations and appreciate your purchases. Story time for children: Every Wednesday at 4:00 pm and Saturday at 11:00 am. Here is a link to her full essay. Save the Date…for Nancy Pearl! The North Tillamook Library Friends is pleased to announce that they will be teaming up with the Hoffman Center to present an evening with Nancy Pearl on October 20, 2018. Nancy Pearl is a librarian-extraordinaire from Seattle. In the 1990’s she started a citywide book club called “If All Seattle Read The Same Book.” She has also written several books, but is most known for Book Lust, a compilation of her favorite reads. The book is divided by categories such as Fathers and Daughters, First Novels, Shrinks and Shrinkees, Hanky Reads, Chick Lit, and Aging. Nancy Pearl is a regular NPR contributor, and is known for her keen sense of humor. We hope you’ll join us! More details coming closer to the October event. 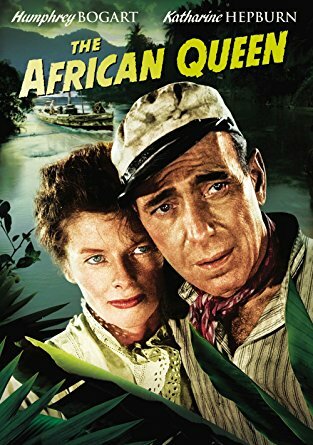 The great New Yorker film critic Pauline Kael called John Huston’s 1951 film “one of the most charming and entertaining movies ever made.” And The African Queen starring Humphrey Bogart and Katherine Hepburn is coming to the North Tillamook Library on February 8, 2018. The screening will take place at 6:00 pm and is free and open to the public. You’ll have to bring your own popcorn! Filmed on location in the Congo and Uganda – a rarity for the time – the story is set in 1914 in east Africa. The movie features Bogart – he won an Oscar as best actor for his role as an frequently drunk, slovenly boat captain – and Hepburn is a prime and proper British missionary. Their relationship, let’s say, evolves during the delightful film. The movie is based on a C.M. Forester novel and James Agee wrote the screenplay. Huston’s famous daughter Angelica was born during the filming. Plan to attend. We’re also eager to hear about films you would like to see. We can screen movies now available on DVD, so if you have a suggestion or two please let us know. Email suggestion to: ntlf198 @gmail.com or mention a title to one of our great librarians the next time you are in the Library. Be sure and check our calendar for more upcoming programs at the Library, including a writing event and a presentation from one of NASA’s official ambassadors. And don’t forget our monthly magazine sale on February 17 from 10:30 am to 1:00 pm. 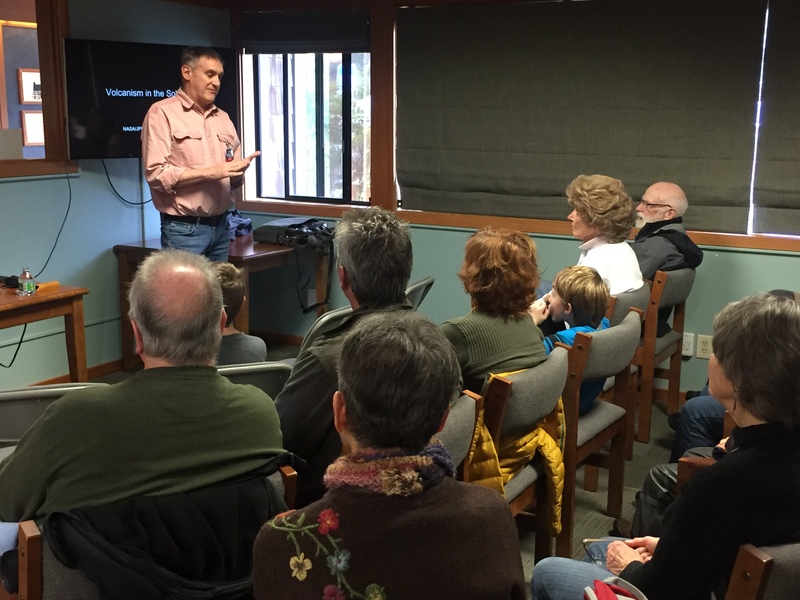 The Annual Meeting of the North Tillamook Library Friends opened at 3:00 pm on January 20, 2018. It was attended by more than 20 Friends not including board members. This was the largest turnout since 2014. The group included a number of new Friends and former officers of NTLB. There was much lively discussion. The Friends elected the 2018 board. Directors at Large: Tony Johnson, Assistant Treasurer; Jo Newhouse, Chair Membership Development Committee; Stephen Brier, Co-chair Membership Development; Lee Hiltenbrand, Chair, Maintenance Committee; Becky Berg, Co-Chair, Maintenance Committee with a focus on landscaping. Gail Young, Chair of Membership Development for the past six years. Membership, under Gail’s energetic and relentless leadership grew from fewer than 100 to 350 for 2017. She and her committee organized many successful events culminating in the 2017 30th Anniversary Celebration. Gail and Richard Young will continue managing the daily and monthly magazines sales. Thank you Gail. Karen Babbitt was also a six-year member of the board and utilized her extensive knowledge of gardening to take the Library grounds to a new level. Karen was a key member of the group who worked on the 2016 Library Renovation and on the design of the patio renovation that is currently underway. David Fisher, Co-Chair of the Library Friends Communications Committee. Dave wrote and edited blog postings, press releases for Library events, and helped in the development of the Communications Plan. Dave left the Board midyear when he moved from Tillamook County. Monica Isbell served most recently as vice president and chaired key administrative committees including Internal Financial Review and the Nominating and Governance Committee. Previously Monica chaired the Communications Committee. She left the Board in November 2017 when she moved to Seattle. As the second major piece of business the Friends voted to approve a 2018 budget for the North Tillamook Library Friends. Board President Olson provided an overview of 2017 activities and facilitated a lively discussion based on comments and questions from several new Friends. The Friends also heard about the organization’s communication plans, received a preview of a major future event (see article on Nancy Pearl elsewhere) and heard a report from Sara Charlton, Director of Tillamook County Library System. Following the annual meeting participants enjoyed some social time with beverages and treats. Does the Stock Market Have You Scared? If you invest in the stock market, you have benefitted greatly from the run up in stock prices since the Great Recession ended. Will the market continue to go up or are we headed for a crash? Don’t expect a prediction from us! Instead of a market prediction, we offer a smart strategy to reduce your exposure to the stock market and cut your tax bill significantly in the process. And you will make an important contribution to the North Tillamook Library and the communities served by the Library. Our suggested strategy is simple — ask your broker to transfer some of your shares of appreciated stock (or mutual fund shares) to the firm that manages Library Friends’ reserve fund. By doing that, you will receive an income tax charitable deduction for the full value of the stock today, and you will completely avoid capital gains tax that you would have to pay if you were to sell the stock. You also will avoid brokerage commissions. Depending on your tax situation, transferring your stock to the Library might reduce your tax bill by 50% (or more) of the value of the stock you transfer. After receiving your stock, the Library can sell your stock without paying any tax. For example, if you contribute $1,000 worth of stock, Library Friends will have $1,000 to use to improve the Library, while you will receive a $1,000 tax deduction and avoid paying capital gains tax on the stock’s appreciation. This really is a win-win for you and for the Library. It’s easy for you to make this type of gift happen. All you do is sign a short form that your broker (or mutual fund company) will provide. If you would like more information, please contact Steve Brier, Co-Chair of the Library Friends Membership and Development Committee, at 503.349.5500 or ssbrier@gmail.com. All inquiries are strictly confidential. If you have owned your shares for one year or less, your deduction may be reduced. The Friends of North Tillamook Library will hold its annual members meeting January 20, 2018 at the Library at 571 Laneda Avenue in Manzanita. The meeting will begin at 3:00 pm and is open to the public, but only Friends members will be eligible to vote during the meeting. The agenda will include a review of 2017 activities, including a report on the finances of the Friends organization and adoption of a budget for 2018. Officers and at large board members will also be elected. 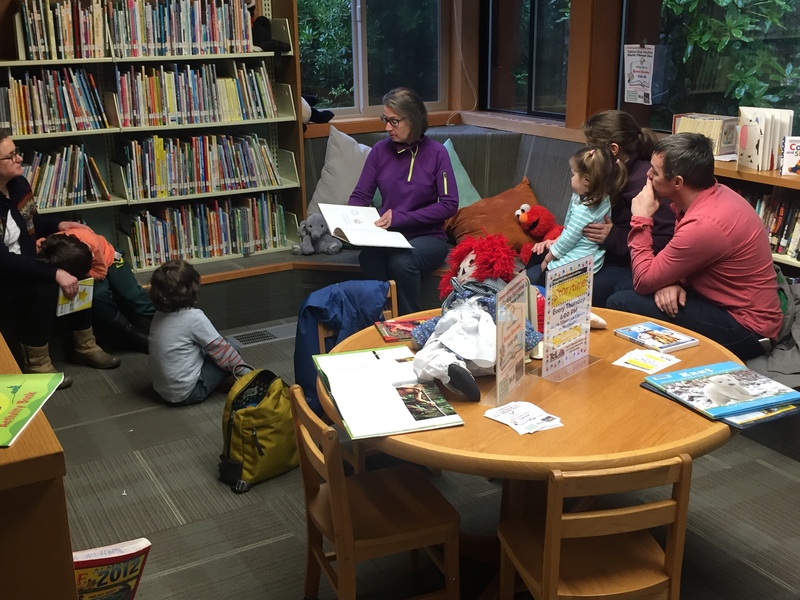 The Friends organization enjoys a unique relationship with the Tillamook County Library. 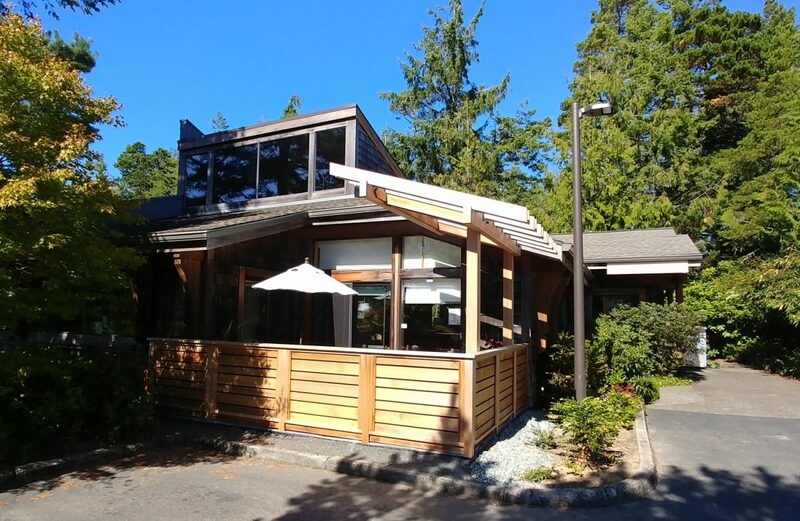 The Friends own and maintain the library building and grounds in Manzanita, while the county library provides professional staffing, books, magazines, computers and more. Tillamook County librarian Sara Charlton will also attend the January 20 annual meeting to provide an update on library business. The meeting will be followed by a 4:00 pm reception for Friends members. Annual membership dues to become a Friend of the North Tillamook Library are $10.00 for individuals, $15.00 for a family, and $10.00 for a business. If you are not currently a member, please consider joining to support our Library.